When you come across a car like this Pontiac, all you can say is WOW. With the options of a 4 speed transmission and a 400 V8, this beauty gets up and goes. 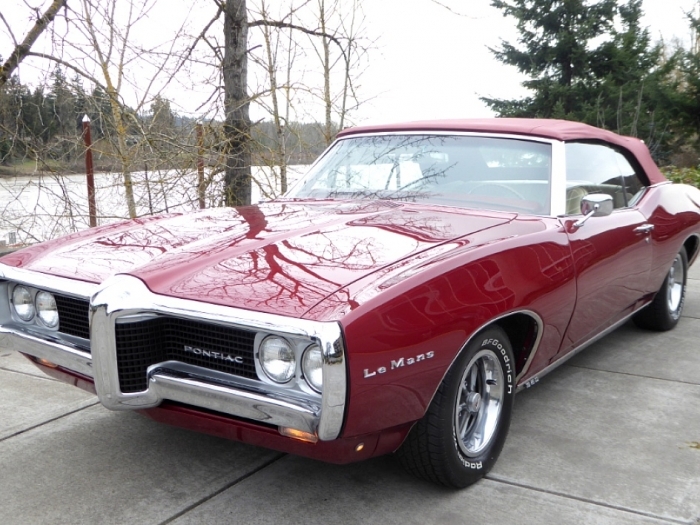 Optional equipment and accessories included were power windows, power seats with factory buckets, Pontiac factory Tach, driver remote mirror, tinted glass, power steering, power top and auto meter pro-comp gauges. The paint looks amazing and stands out with the Burgundy vinyl top. The chrome engine compartment looks great and very presentable. The front and rear chrome are like new. Front disc brakes with BF Goodrich Radial T/A tires. When you drive this beauty, it will bring you back in time with a guaranteed smile.